Ad testing seems really simple and is probably something most publishers have had some experience with. Unfortunately, as we’ve discussed before, A/B testing ads can lead to really bad results. Or in some cases, optimizing around a metric like CPMs can actually lead to LOWER monthly revenue. However, based on years and years worth of data science and research, here’s how you can approach ad testing in a way that is powerfully beneficial to your site’s revenue, user experience, and long-term growth potential. This is probably the one everyone is most interested in, right? Showing ads in the right place, at the right time. You’ll probably be more interested once I tell you that showing static ads (i.e. 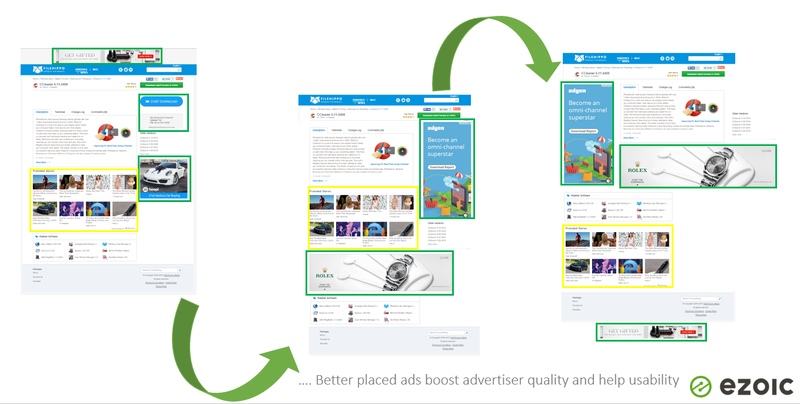 ads in the same place) vs. showing different ads to different users based on preferences usually results in a net increase in revenue of about 56% on average. Adjusting or testing ad locations — better described as ad combinations — is fundamental in determining a site’s ability to generate strong ad earnings. More and more science merges on this every day. Everyone knows that it is important to show a certain number of ads to make maximum ad revenue, but many don’t understand how important it is to avoid spamming away users. Not just because you want them to come back… but because if they leave because the ads are annoying you could be missing out on all the pageviews they may have accumulated had they continued their session and browsed more pages of your site!!! Every user on a site interacts with it differently and different locations may influence each user in a different way. Tom may come to a site and find mobile ads above the fold annoying, causing him to leave after one pageview. Perhaps normally he would have visited 2 pages. This means the publisher potentially missed out on double the amount of revenue. On the flipside, if the publisher then decides to remove all mobile ads above the fold, perhaps their total RPMs decrease and they make less revenue than they could on all the users that are the opposite of Tom (users that are unaffected by ads above the fold and will visit two pages no matter what). When you start to think of it this way, testing ad location becomes kind of intimidating. How is it possible to truly optimize in light of all these factors? In our research (that has included over 21,000 sites), we’ve found that testing ad location testing is extremely powerful and actually solves the ‘UX vs Monetization’ problem. The problem is how do you maximize both without taking away from the other. Testing thousands of ad combinations (where the ads are located on each page and how ALL those ads affect the total session income), is the only accurate way to keep ad income on an upward trend and keep user experience protected. This level of testing truly is able to account for all factors and can allow sites to balance UX and monetization. We’ve been able to prove this out over time. There are simply to many combinations and variables to account for in traditional A/B (or manual) ad location testing models. Site owners must employ a form of multivariate testing. Automated testing means you can leverage vast amounts of user data and never have to rely on personal opinion to decide upon where the ads should go… (which is how 99% of websites still choose their ad positions). With the +21,000 sites we’ve collected data on, we’ve found that testing ad location for each session always beats RPM-based optimization. What does this mean? It is better explained in the EPMV video below. It highlights the benefits of session revenue. Ad testing — more accurately stated as visitor testing — has become an absolute necessity because a lot of publishers – even sophisticated brands – still hold onto the mistaken belief that optimizing revenue is done by boosting page yield (trying to increase RPM or eCPM). This, unfortunately, is totally wrong. RPM-based optimization is fundamentally flawed because it treats all pages with equal weighting and is based on the assumption that if you get the maximum ads on every page, then you’ll always be making the most that you can from a website. Site owners know deep down this is true. Would you rather load one page full of ads and make $10 OR show fewer ads on 3 pages and make $5 per page — netting $15 total? This is a question that is being ignored when you optimize for pages instead of people (i.e. sessions or visits). Can’t believe this is true? Take a look at the math HERE – it’s easy to see why RPMs and CPMs will lead you astray. Users who see too many ads too early in a user session are more likely to bounce away from the site. Visitors who bounce away from your site engage with fewer ads overall. Fewer ad views overall means fewer ad dollars and reduced income, instead of boosted income. So, how is it possible to balance user experience metrics against ad income (i.e. keep people visiting pages with ads on them vs. being annoyed and leaving)? The answer comes from scientifically adjusting ad combinations and recording the users’ responses to those changes. This cannot be achieved accurately ‘by eye’ / guesswork. Testing is the only way because all sites are different. However, testing — in this case — cannot end with a final result. Ultimately tests should help you segment visitors and deliver each one a different combination based on how similair visitors have responded to previous tests. This must be done using some form of automation because a human is physically unable to do this level of testing and segmentation. Great ad testing measures earnings & user experience together. We’ve found that to do segmentation well you need to find and optimize the combinations of ads that maximize revenue by taking into account thousands of variables for every different kind of visitor you can imagine. The traffic source (where a visitor was before they came to your site – visitors from Google/Facebook optimize differently. 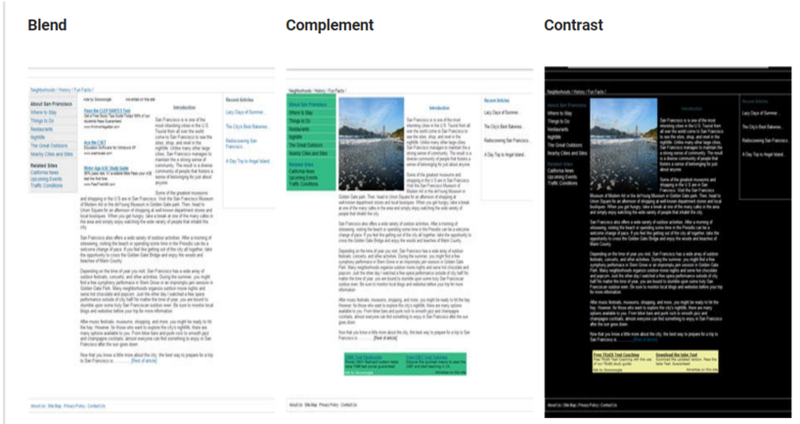 Ad type – display vs native vs In-line and how they dilute one another’s performance. As you can see – it’s a mammoth task to attempt to work this out manually. It’s a matrix of decision making that feeds into boosted earnings, boosted UX and, ideally, both metrics at the same time. Ad quality relies on boosting visitor engagement or ‘intent’. 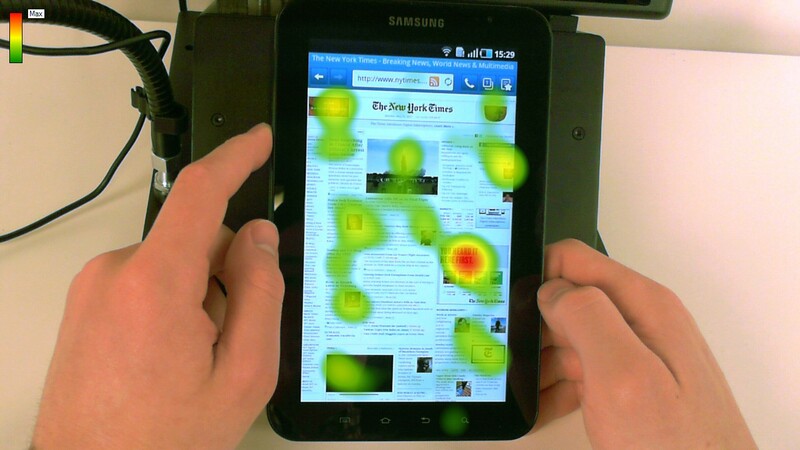 Visitors who are really reading and engaging are better for your advertisers. 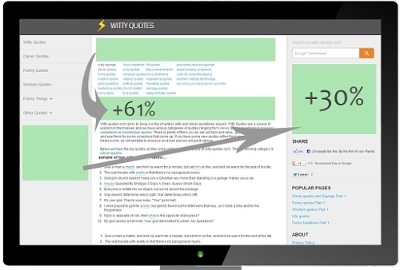 One of the biggest factors in ad testing is making changes according to ‘traffic source’. Article page (which page a user is reading), traffic source, geographic location all have a marked effect on what ad combination should show. There is no reason why all visitors should see the same ad combinations. Each user should get an ad combination that complements the page they are reading and enhances their overall user experience, taking into account upstream traffic sources, device size, geographic location and any other factor that can boost user engagement and ad earnings. It’s much more powerful to do those tests AND test ad locations and sizes in combination. But, for those of us who are busy – this all sounds like a lot of work. The main reason most people / businesses don’t keep going with testing is that it is a super-laborious process if you’re doing it manually. Many do more harm than good with their tests because they don’t understand the long-term effects of implementing the results. Knowledge is power! Testing ad locations automatically means you’re about to know which articles or pages make you the most money, and which get you the most engagement from your site’s visitors. When you have that data, you can create more and more popular content. Some articles are inevitably going to be more engaging than others – having the ‘right’ ad combinations or ad locations on the page will enhance the user’s experience of that article AND boost ad earnings. Which writer on your team produces the highest yielding articles? That’s something that’s important to know. Generate more money by testing ad locations and then adjusting how you serve ads to visitors based on results. You can scale this by using a mathematical approach to testing for overall income improvement. You can use a free tool to get started here.